Ask a person what they associate Las Vegas with and you’ll be given quite the list. However, not generally included among the gambling, drinking, smoking, lounging, partying, and sliding hangovers is a new category of Vegas entertainment: video games. And no, we don’t mean video poker. That’s different. Recently TNW headed to The Strip to attend IGN’s IPL 5 tournament in person. The tournament itself was in fact several competitions, with titles Starcraft 2, League of Legends, and the nascent ShootMania each occupying a ballroom of their own to host a multi-day showdown between the world’s top players. Let’s retreat for a moment: why would there be a video game tournament inside of the Cosmopolitan? As it turns out, for all the normal Vegas reasons: money, competition, sport, betting, and masses of people carrying cash. TNW has written sporadically on esports, the competitive gaming scene. While still mostly unknown to those not in certain demographics, esports itself is now more than a cottage industry. Once more a hope and a vision than a reality, esports has come into its own on the international and domestic scenes. As audiences have grown, teams have matured, and more competition-friendly titles have been released, the money has followed. The Starcraft 2 and League of Legends events at IPL 5 – the fifth incarnation of IGN’s live esports ProLeague series – sported $100,000 prize pools. The event itself sold out, bringing a self-reported 10,000 live attendees to the venue in the Cosmopolitan. For several days, among the usual Vegas mobs were a surprisingly large contingent of younger folks, many seemingly too young to gamble at all, stomping around the city as if it had been built for them. The gamers had arrived. That 10,000 individuals turned out for IPL 5 is impressive, given that esports is itself a comparatively young industry. IGN doubled the price of tickets for IPL 5, compared to IPL 4, and still sold out of passes. IGN, however, doesn’t intend to raise prices as drastically in the future; it wishes to keep the event series accessible. Still, 10,000 is a number that college football stadiums fly past, NASCAR scoffs at, and other sports generally crush. If esports events could only manage 10,000 spectators, the entire idea would collapse. But, just as football games are broadcasted onto your television, so too are esports events livestreamed to your computer. At IPL 5, a peak of 454,000 concurrent viewers tuned into the various streams of the event, across several platforms. All told, over the three-day event some 20 million hours of video content was consumed. IPL 4, the event preceding the most recent, sorted 346,000 concurrent viewers who consumed a small in comparison 6 million hours of content. IGN’s IPL events are besting their previous incarnations sequentially. That’s to be expected, frankly, as IGN has reported that its IGN ProLeague series has doubled in traffic every six months since its birth in 2011. Here’s the final figure that matters: 6 million unique individuals tuned into IPL 5 during its run. Putting on an event on the scale of an IPL isn’t cheap. IGN put in “well more” than $1 million, according to its founder David Ting. IGN lost money on the event, all told, Ting informed TNW, but the company has made a five-year bet that it is only one year in. It expects in five years that its esports efforts, the larger IPL series, to make money. That’s a long runway, but one that is feasible. IGN is a division of News Corp, giving it the financial backing that it could need. There is a simple fact that undergirds esports as a potentially profitable, potentially massively profitable business: demographics. 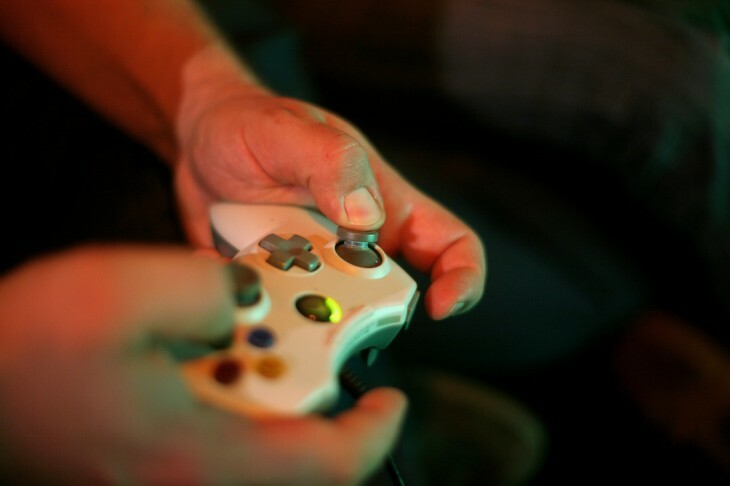 Competitive gaming has oodles of young males in the 18-34 age bracket, a key market segment for advertisers and brands. IGN’s mixture of live and online events are hardly alone in seeking to capture the attention of gamers. Major League Gaming (MLG), which TNW has covered extensively, operates in the same space. In fact, IGN is something of a new competitor to the older MLG. Both MLG and IGN host tournaments in person and virtually, all of which are streamed through services such as Twitch.tv and their own proprietary technology. For IGN, its IPL events see about one third of their streaming loads through their own technology, and two thirds through third-party services like Twitch, which cater to the gaming market. Here in the United States, MLG and the IGN IPL ProLeague have proven that there is a large, monetizable market for competitive gaming. Also, the two have demonstrated that it isn’t a passing fad, as each has held numerous events to large draw. And as the industry has grown in the past two years, stability has been established as fact; gaming isn’t becoming any less popular, and titles that lend themselves well to the competitive scene are at the top of the charts. For IGN, the IPL has two key avenues of growth to tap in 2013: multi-language broadcasting, and fighting games. IGN is working to have its content cast – think sportscasters, but for games instead of basketball – in different languages around the world, greatly increasing its reach. The Chinese market, for example, is something that IGN is targeting. Fighting games are coming to IGN’s circuit as well. While fighting games have their own audience, and events, they never posted large numbers for MLG. IGN is betting that it can derive more out of them. Esports grew greatly following the release of Starcraft 2. TNW tends to view the explosion of competitive gaming outside of Korea – long the bastion of corporate sponsored esports – that Starcraft 2 brought as the first era of international esports. It drove online and offline audiences. It helped birth and grow livestreaming as a broadcast option, and laid the groundwork for more tournamnet activity as the number of folks tuning in was simply larger. League of Legends followed, quickly becoming the most popular video game in the world. It has become a more popular spectator title than Starcraft 2. This is akin to the second era of international esports, as League has built on certain foundational elements that Starcraft 2 helped put into place, driving gaming to new heights. However, Starcraft 2 is due to receive its very first expansion, of a planned two, which could reignite its userbase, and perhaps help its audiences find growth. Starcraft 2 has been a consistent performer in the last year, but it is now some time since it exploded onto the scene. TNW spoke with Mike Morhaime, President and co-founder of Blizzard, the company that created Starcraft 2 and its predecessor, who stated that a number of esports-friendly additions and upgrades are coming to Heart of the Swarm, the upcoming update to the game. Heart of the Swarm will also contain new units, and a fresh single player campaign. Blizzard anticipates that this will bring a fresh crop of casual players to the Starcraft 2 scene. TNW specifically asked if there are now too many Starcraft 2 tournaments, a question based on the fact that IGN and MLG are hardly the only players in the space. Korean and European tournaments often land on conflicting dates with North American events, forcing certain players to miss key events, or to suffer from whiplash-esque jetlag as they fly to and fro. Mike’s take was that there aren’t too many, but that more organization is needed to keep things straight. However, Blizzard itself doesn’t want to assume that role. The company wants to work with both its partners and the larger community, but doesn’t want to “run the scene.” This approach is in direct contrast with Riot Games, creator of League of Legends, which takes a more direct role in its game’s management. This is not to say that Blizzard is making a mistake. The company has a storied history of creating hit games, such as the Warcraft and World of Warcraft titles, not to mention the entire Starcraft franchise. Certainly, esports has proven that it can deliver a large audience, both in person and virtually. At the same time, the economics of professional teams have been mostly sorted out. What has not yet, at least in North America, been completely solved is the financial viability of large events. It’s not cheap to host 10,000 people inside of Vegas’ hottest hotel. And spending six figures on cash prizes isn’t always easy to recoup. For esports to reach something like its full height, advertising rates need to grow, and fill rates need to strengthen. CBSi is working on the issue for MLG, Twitch.tv and the North American Starleague, but much work remains to be done. In 2013, if advertising across livestreamed content could be improved, that alone could provide the lifeblood to take esports from something that could exist at a medium size for some time, to a much higher plane. IGN has a five-year plan. MLG has fresh cash from investors. The North American Star League is on for at least two more seasons. The games, players, fans, and tournaments are in place for esports to become a multiple of its current size. 2013 will perhaps be the year we find out if competitive gaming can muster and execute to its full potential. Disclosure: IGN flew me out for the event, and paid for my lodging for the event’s duration. TNW covered all other expenses, naturally.